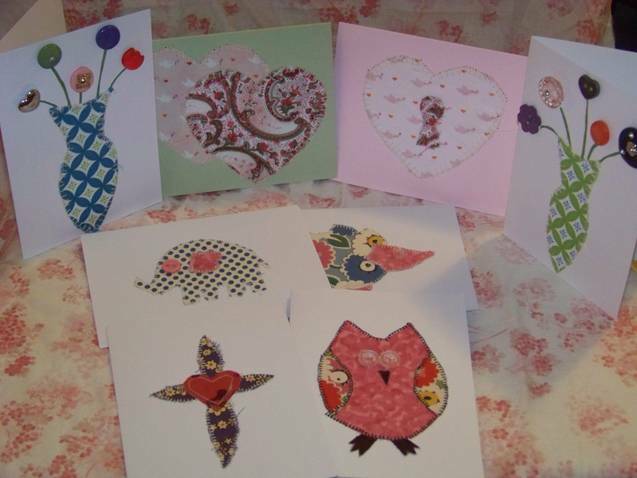 The second item is this set of eight handmade cards from Joscelyn of Lilac Barries. They are so adorable! Be sure to check out Joscelyn's etsy shop when you visit her blog. I will end the giveaway on Thursday at midnight and announce the winner on Friday. Leave a comment telling me your favorite family meal. We are a spaghetti family for sure. Any form of noodles but still pasta with red stuff. Hi Renee. I love those cards made with fabric scraps. A favorite family meal would be tacos. I am a follower. Favourite family dinner - homemade individual pizzas. The vegetarians get to do no meat and the rest of us can have it all. I am a follower. I visit your blog everyday. It is one of my favorites. A favorite family meal is Enchaladas. I am a follower and was so excited to see your giveaway, since I'm finally going to try to learn to quilt! I've always felt so intimidated by it. Our favorite family meal is Cincinnati Chili--yum! I'm a follower. Favorite family meal - BBQ brisket in the crockpot, fried potatoes, and ranch beans. Thanks for the giveaway! I love scraps! :-) I'm a happy follower. My family always asks for me to make homemade chicken/turkey enchilada's~ yum! :-) They can hardly wait for the turkey leftovers from Thanksgiving. LOL Thank you for the fun!! 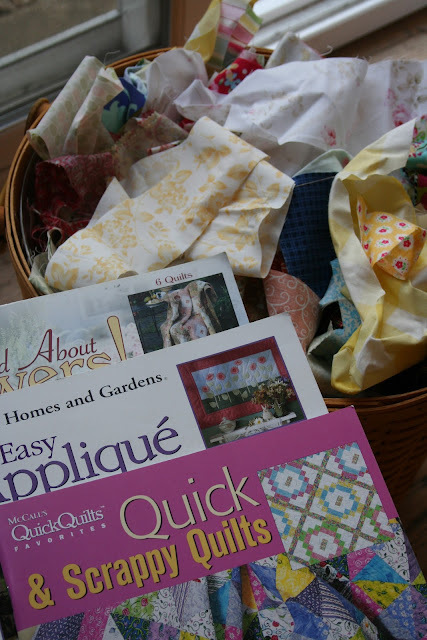 I can imagine your scrap basket is full of lots of lovely colors and fabrics. The handmade cards are lovely too. I have thought about trying to make those myself, but just never tried to do it. Hi Renee.My favorite family meal is Pistichio.Its greek.Loveeeeee this giveaway! My favorite family meal is lasagna. I enjoy making it as much as I enjoy eating it. I am a follower. Thanks for the giveaway. Our favorite meals are those created out of nothing. Open up the refrigerator: condiments, the cabinet: lots of crackers, freezer: random pieces of frozen meat. Add some garlic and onion from the garden, olive oil, spices, noodles with rice and nothing turns into something amazing. My favorite family meal is pinto beans, fried potatoes, and green chile with tortillas. I'm already a follower of your blog and thank you for the opportunity to win your giveaway. Hey, Renee! Thanks for the opportunity to win this exciting giveaway! A favorite meal for the Bruner family is spaghetti with garlic bread and a nice big salad. Stir-fry for him. Fruity, nutty, cheesy green salad for her, yogurt for baby, mac n cheese for toddlers, taco soup/salad for fast meals. My favorite family meal is orange chicken, with morning star chicken because we're vegetarians, that my hubby makes. I think our favorite family meal is Taco Salad. Love this giveaway. I've always wanted to learn Applique and this looks like a great introduction. Thanks! Jambalaya! It is one of the few dishes that DH will readily eat as leftovers. I am a happy regular follower of your blog! My favorite meal? I have many favorites, but when we go out to eat, we love to each order appetizers and share, and then order dessert and coffee. What a wonderful giveaway!!!! I have a 12-year-old so pizza is our most requested meal. However, he also likes something called Barnyard Chicken - thus named because it includes something from everything on the farm (beef, chicken and pork). It has a decadent sourcream and cream of mushroom soup sauce that may not sound that good, but is delish!! I have been a follower of Sewn with Grace for some time now...and always enjoy reading your posts.Your blog is always a pleasure to visit. Our favorite family meal would be home made spaghetti sause and spaghetti noodles, served with spicey Italian sausage and home made garlic bread~soooo Yummy! I can even eat spaghetti cold..Yep I sure can..
My favorite family meal has got to be homemade hoagies or sub sandwiches. They're way better than SubWay! I'm a follower. Lovely giveaway.My favorite family meal would be pasta and meat balls with lots of tomato sauce. Following ... favourite family dinner is really hard - as it's winter and cold it's probably "Flammbeet" at the moment. Yeast dough with sour cream and onion rings, baked in the oven. It's fast, it's easy and it's warm (and we usually have cold dinners, lunch is warm). I am a follower and enjoy your blog! My families favorite meal would be Pasta with home made Alfredo sauce.. I'm a follower. Thanks for the chance. I am a follower. My favorite family meal is pulled pork bbq sandwhiches! Yum! I am a follower. This follower's favourite home-made meal (at the moment, it is summer) is Chicken Ranch Salad. In winter it was broccoli soup with parmesan toast. But my favourite food to eat out is Lobster Mornay and my favourite takeaway is pizza. My family loves carrot cake, especially with cinnamon and butter cream frosting. it's our favorite desert. I'm a faithful follower! Love tacos! Our favourite meal is roast beef with all the trimmings!! I follow! Our favorite family meal is Taco night. The kids love assembling their tacos with all of the toppings! Thanks for a great giveaway! I'm a follower, and I love grilled Fiesta Mexican chicken over salad. So many favorite meals to choose from, but this week the 6 year old has been really into helping to make fresh pasta, so I'll go with that. It's definitely a family meal when everyone helps out! I am a follower, thanks. Fav meal - ground turkey meatloaf. With lots of leftovers for sandwiches. Glad to say that I am already a follower. And my family favorite meal...I would say, roasted beef ribs. We all like beef; that's all I can tell you. I am a follower and our favorite meal is a Shrimp boil with vegetables made outside in a large turkey fryer pot. We love it! My favorite recipe is Chicken Garlic Braid! I can even make it without the recipe which is a real surprise because I don't like to cook! Oooh, your stash of scraps! 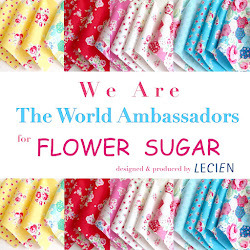 I love your taste in fabric choices so to win would be simply awesome! I'm a follower and my favorite family meal is pot roast with carrots and potatoes. Thanks for your generosity. I've been following your blog for awhile now, but just realized I had not joined officially yet! I thought I had done that long ago! My favorite family meal is black-eyed peas, sauerkraut, pork (bahama mamas, brats, etc.) and applesauce. I have this every New Years day with my extended family. It has become a tradition for good luck throughout the new year--my Grammy and Papa make it and I don't think there's any other meal that tastes so delicious! Hello... I'm a follower of your wonderful blog. Thank you for this giveaway, and our favorite family meal is fried chicken, mashed potatoes-gravy, deviled eggs, corn on cob, green beans, hot rolls, chocolate cake and sweet tea. Favorite family meal Roast beef, with carrots, mashed potatoes, green beans, sliced fresh tomatoes. I can never decide for sure, but ham & scalloped potatoes are high up on my list! I'm a follower. Favorite family meal is Steamboat or Shabu Shabu. Thanks for the chance to win. Our favorite family meal is lasagna. Thank you for the give a way. The cards are so cute. Favorite family dinner ..... hmmmm, I think I will go with pizza. Thank you for offering such a nice giveaway. My families favourite meal in Porcupine Meatballs done in my slow cooker. Hi!!! As a FAmily I love anything Italian!! YUM!! My favorite family meal is Hawaian chicken and rice. I am a follower of your blog. ONE OF OUR FAVORITE MEALS IS ROAST BEEF WITH MASHED POTATOES AND A GREEN VEGGIE+YELLOW VEGGIE-YUM!